Remodeling your bath and shower is a big task, but it’s a project well worth the time and effort. 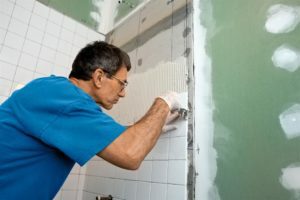 While major remodeling projects should be left to the professionals, it is completely possible for homeowners to do some bath and shower enclosure remodeling tasks themselves. If you’re looking for some tips on how to get started with your bathroom remodeling project, read on. If you’re going through the trouble of replacing your shower/bath enclosure, then you might as well go the extra mile and update your shower kit to something more modern and useful than the standard bathtub you find in the average home. There are a surprising amount of options available, from sit-in showers to larger-than-average bathtubs that are more comfortable to sit in for long periods. If you or someone in your home has a disability or limited mobility, then you need to be especially mindful in choosing your new shower kit. Be sure to find an ADA-compliant shower or bath kit. These are designed to make it easier to get in and out and to use them comfortably. When Should I Contact the Professionals? 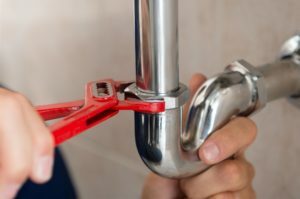 Everyone has a different level of experience and ability when it comes to home improvement and plumbing repair, but we always tell people they should err on the side of caution. Relatively simple tasks, like replacing a bath pan or a shower stall, that don’t require major changes to pipes or lots of plumbing repair can often be done by homeowners, as long as they do the proper research and take the time to learn what they’re doing beforehand. On the other hand, renovations that require new piping or major adjustments to in-home plumbing or electrical system should only be undertaken with extreme caution or with the help of professional remodelers. Before you start tearing out your old shower stall, create a list of features your new bathtub must have to make sure you have everything. Do you have handrails and have you correctly planned out where it will go on the wall? Is there a place to put the soap, shampoo, and other toiletries? Will people using the shower be able to reach that area easily? Think carefully about everything you need and want to include in your new shower/bath, and make sure that you have carefully planned how all of those aspects will be included. Obviously, most people don’t have the technical know-how to install a new shower without some help along the way. That’s why American Bath Enterprises, Inc. has created a series of videos providing instructions and tips on how to install different bath enclosures. If you’re looking for advice on how to properly replace a bath pan or what goes into installing the specific new shower enclosure you’ve chosen, these should be an invaluable resource. Want more help installing bath enclosures and shower kits? Be sure to check out our instructional videos or contact us today at 888-228-4925.